Crystal Peddler - Gourd Boxes, ORNAMENTS, etc. 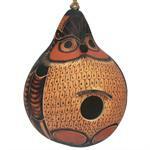 Home > Hot New Lines > Andes Fair Trade > Gourd Boxes, ORNAMENTS, etc. AFT - Gourd BOXES - Assorted designs - 5"
AFT - Gourd BASKETS - Asst. Designs - 5"
AFT - Gourd BOXES - Geometric - 5"
AFT - Gourd BOXES - Floral/ Insects - 5"
AFT - Gourd BOXES - Animals- 5"
AFT - Gourd BOWLS - Chacana-Inca Cross - 4"
AFT - Gourd BOXES - Lizard - 5"
AFT - Gourd BOWLS - Animals - 4"
AFT - Gourd BOWLS - Geometric - 4"
AFT - Gourd BOWLS - Floral/Insects - 4"
AFT - Gourd BIRD FEEDERS - Asst. Designs - 8 - 10"
AFT - Gourd BIRD HOUSES - Asst. Designs - 8 - 10"
AFT - Gourd Rainstick - Assorted Designs - Large - 9"- 12"
AFT - Gourd Maracas - Carved - PAIR - Asst. 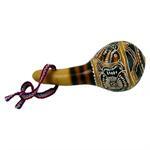 Designs - 6-8"
AFT - Gourd Maracas on stick - Pair - Asst. Designs - 8"
AFT - Gourd BOXES - Owl - 5"
AFT - Gourd Maracas - Carved - MINI - PAIR - Asst. Designs - 4-5"
AFT - Gourd BIRD HOUSES - Owl Design - 6 - 9"